Exeter - Travel by train - Exeter St David's Station, Bonhay Road, Exeter, EX4 4NT. Customer Service - 08457 000 125. Waiting rooms. Cafe and refreshments available. Shops. Disabled toilets. Step free access whole station. Station wheelchair is available. Exeter Central Station, Queen Street, Exeter, Devon, EX4 3SB. Wheelchair accessible toilets. Step free access to only part of station. Exeter St Thomas Station, Cowick Street, Exeter, Devon, EX4 1AJ. Public telephone. Local shops are adjacent to the station. Step free access to only part of station. Exeter St James Park Station, Well Street, St James, Exeter, Devon, EX4 6QB. Customer service 08457000125. Pay phone. Only parts of station step free access. Also see Exeter tourist and travel information. St Olaves Hotel is a small, intimate hotel in the very centre of historic Exeter and a few minutes' walk from the high street, Princesshay shopping centre and Exeter University. The family-run hotel is a listed Georgian town house with a cascading spiral staircase surrounded by a beautiful walled garden. The award-winning hotel and restaurant are a luxurious, tranquil home from home. Staff provide friendly, efficient service 24 hours a day. St Olaves offers the intimacy of a small hotel with all the facilities and amenities of a modern one. All rooms have their individual character. Little luxuries such as bottled water and homemade biscuits and chocolates come as standard. In the heart of Exeter, The City Gate offers modern rooms, free Wi-Fi and a beer garden. Exeter Central Station is nearby and the M5 motorway is within easy reach. 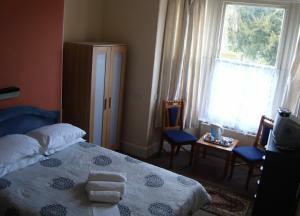 Each en suite room at The City Gate Hotel features a TV, tea/coffee and air conditioning. A full English breakfast is provided. The City Gate Hotel features real ales and a traditional food menu, using fine local produce. Guests can dine either in the restaurant or the spacious conservatory. This elegant Victorian 4-star hotel is in the heart of Exeter, opposite Exeter Central Rail Station, 5 miles from the M5 motorway. Drakes Restaurant is on the ground floor of The Rougemont Hotel and offers traditional British food. Drakes Bar provides an informal dining experience, whilst Nelson's Lounge offers light snacks throughout the day, together with delicious afternoon teas. With its friendly service and fine surroundings, The Rougemont Hotel by Thistle is a good base for your stay in Exeter. City centre shops are within easy walking distance. Close to the city centre, the river and the Exe Bridge, this Victorian villa offers free wireless internet access and comfortable accommodation at great-value rates. The Oke Lodge Hotel has a great location, just 500 metres from the Exe Bridge and close to the River Exe. The very heart of Exeter city centre and all that it has to offer is within easy reach. The great location makes the hotel a good choice, not only for visitors to the area, but also for business people needing overnight accommodation or a longer stay in Exeter. There are 26 rooms all with TVs, radio alarm clocks and hairdryers. Some limited free parking is available on site. A tasty breakfast is included in the price and is available from 07:00 to 10:00. Breakfast include a choice of fruit juices, cereals and a full traditional cooked English breakfast. Occupying a peaceful location in the heart of Exeter, this guest house is conveniently within walking distance of the city's famous new shopping complex and High Street. Having recently undergone an extensive refurbishment, the Melbury Guest House provides sumptuous surroundings for a relaxing stay. In the Washington Lounge you can watch your favourite program on the 50-inch plasma-screen TV, alternatively, relax in the Melbury room, listen to music or walk through the Victorian conservatory onto the south facing patio, were there is a smoking area. During your stay you can enjoy all that Exeter has to offer, including a thriving night life and choice of fine dining, with many award-winning restaurants and cuisines to choose from in the immediate vicinity. Between the city centre and Exeter Central Train Station, Crescent House has en suite rooms and rooms with shared bathroom facilities, all with free Wi-Fi and rates to suit all. Under new management, the rooms at Crescent House have TVs and tea/coffee making facilities. Single, double and family rooms are available. 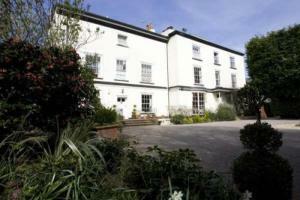 The bed and breakfast is a comfortable base less than 5 minutes' walk from Exeter High Street. Exeter University is within walking distance.